The Kansas City Eye Clinic offers patients total eye care services from general eye exams to surgical care. Each doctor specializes in one or more areas of treatment. Patients receive a comprehensive eye examination, which includes testing for glaucoma, cataracts, retinal, corneal, and refractive disorders. Please browse our services below for more information or check out EyeSmart: Eye health information from the American Academy of Ophthalmology. Patients may be assured that our Clinic’s doctors are well versed in diagnosing and treating the most difficult and rare of eye diseases. 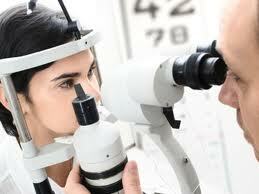 Additionally, we offer a full service optical shop with experienced staff onsite for patient convenience. Our full list of services is listed below. Click on a specific link to learn more.